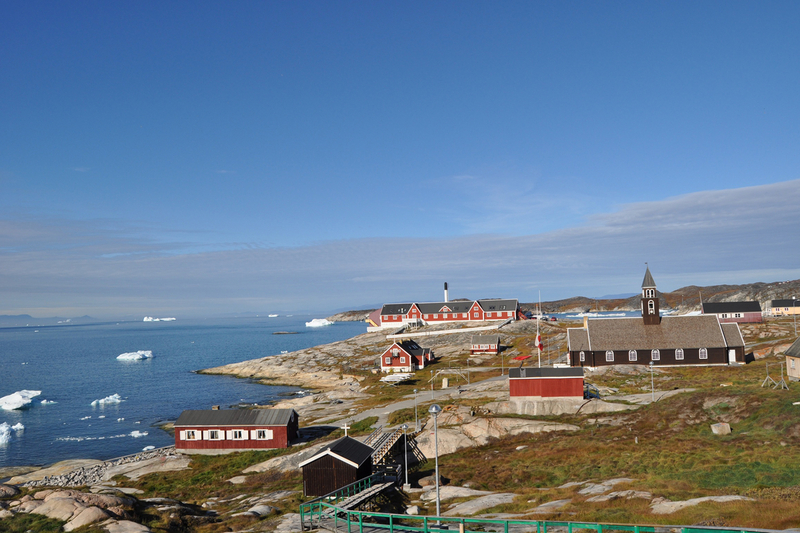 This trip combines two of Greenland’s favourite cities; Nuuk and Ilulissat. 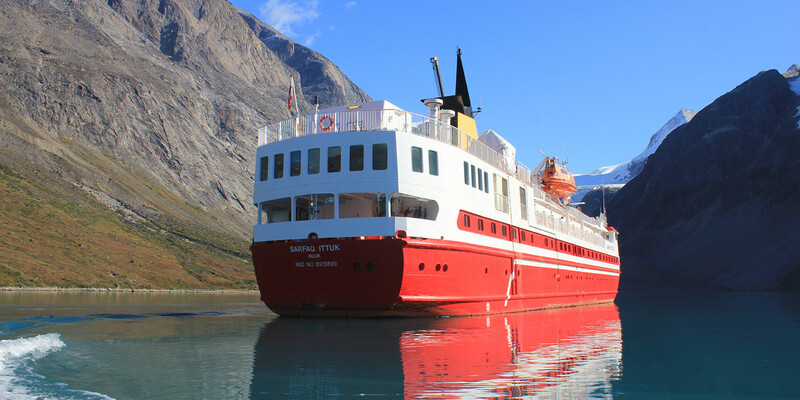 There is plenty of time for you to explore Nuuk at leisure, before sailing up the west coast on M/S Sarfaq Ittuk to Ilulissat in beautiful Disko Bay. Along the way you’ll see more towns and lots of beautiful and varied scenery. On board the ferry there is a ship guide (June to August), who conducts lectures and invites you to participate in shore excursions along the way. Fly from Copenhagen to Kangerlussuaq, where you change to a smaller aircraft heading to Nuuk. The domestic flight offers beautiful scenery in clear weather. 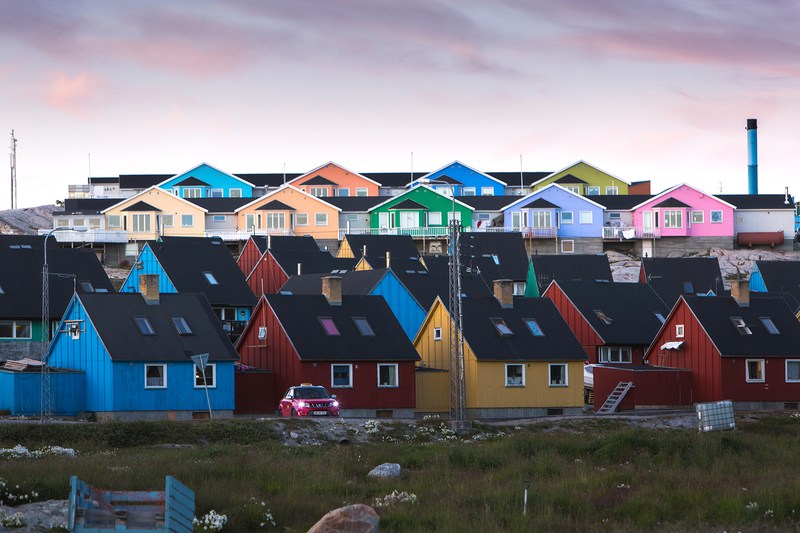 Nuuk is a city amid rapid development and modernisation, however it still manages to foster traditional values and offers the feeling of a metropolis in the middle of nature. The day in Nuuk is on your own. Evening departure on the Arctic Umiaq Line ferry M/S Sarfaq Ittuk. Today we call at 3 different ports which you can explore, including Greenland's second largest city Sisimiut. 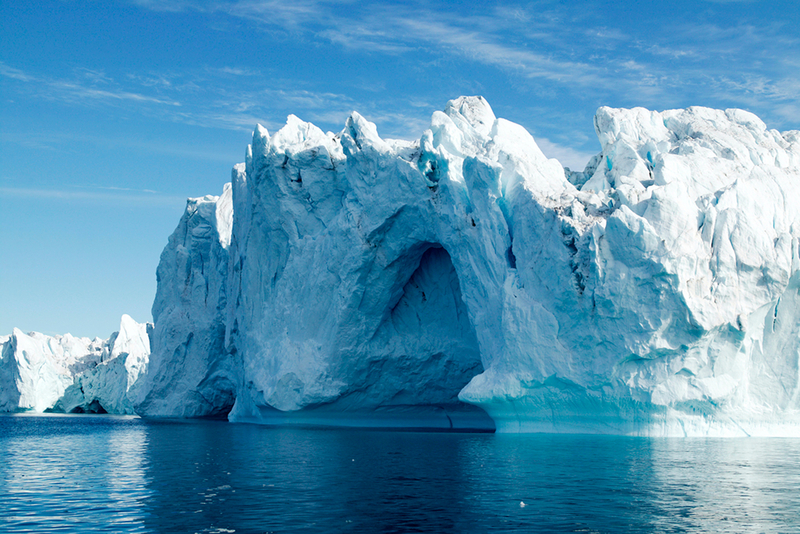 Today we reach Disko Bay. First a short stop in Aasiaat, former home of world renowned Danish artist Per Kirkeby, then onwards to Greenland’s iceberg capital, Ilulissat. 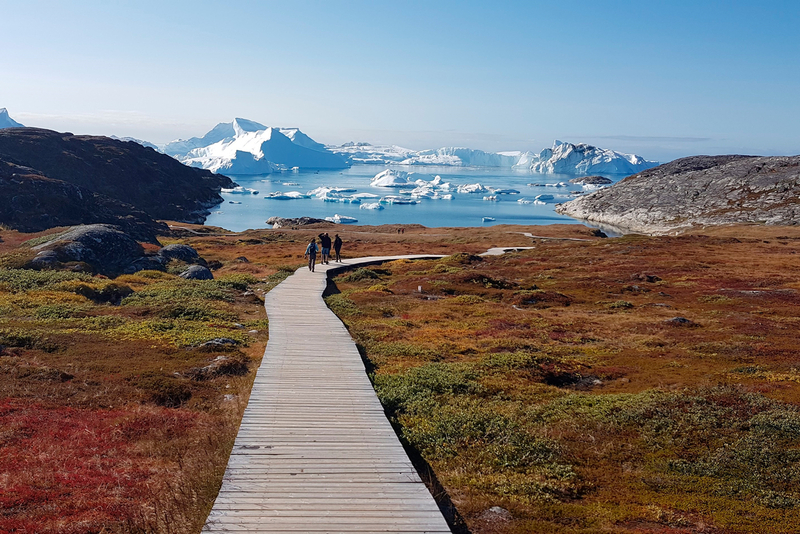 You have 3 excursions planned during your time in Ilulissat: a guided city tour, a walk to the UNESCO World Heritage Listed icefjord and Sermermiut settlement, and a cruise among icebergs. Farewell Greenland. Flight back to Copenhagen. 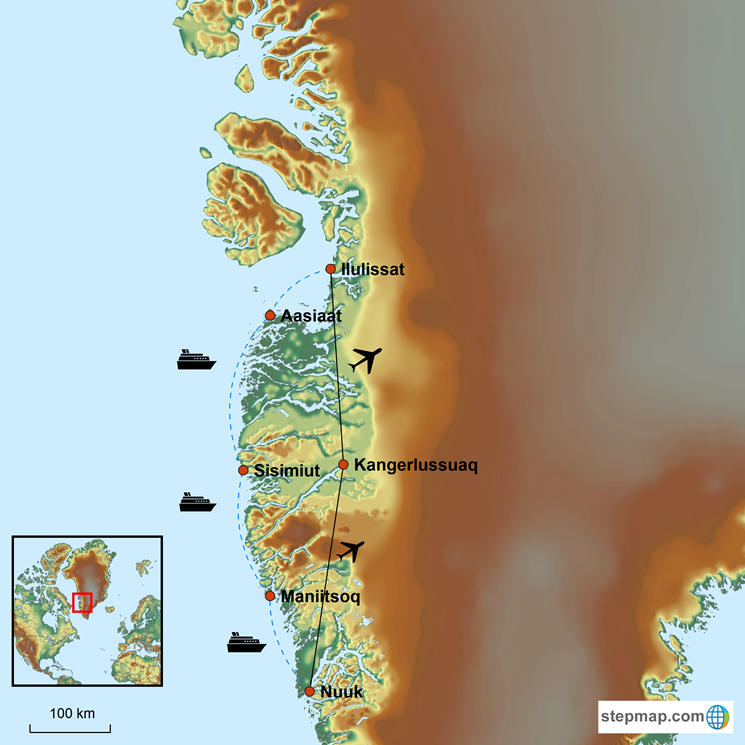 Fly from Copenhagen to Kangerlussuaq, with connecting flight on to Greenland’s capital city, Nuuk. As always in Greenland, a flight is a beautiful experience in clear weather, offering a different perspective of nature from above. 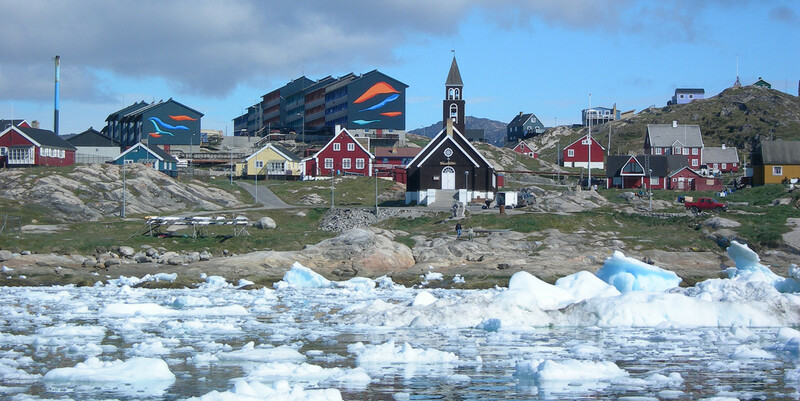 In Nuuk you’re on your own, but if you need help booking accommodation, transport and excursions, we’re ready to assist. 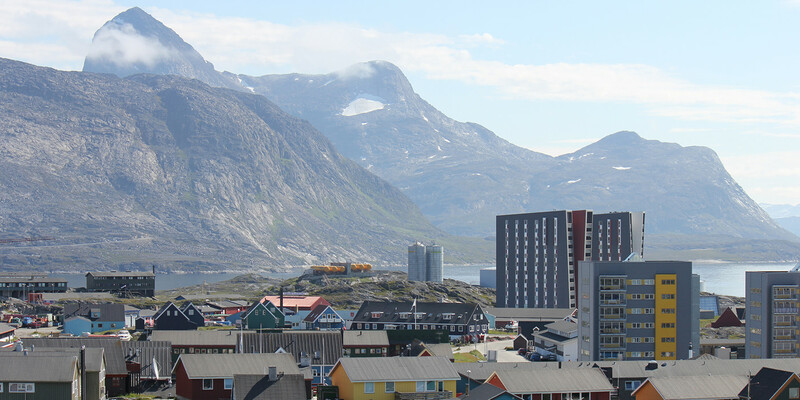 If you’d like a shorter or longer stay in Nuuk, it can easily be arranged. 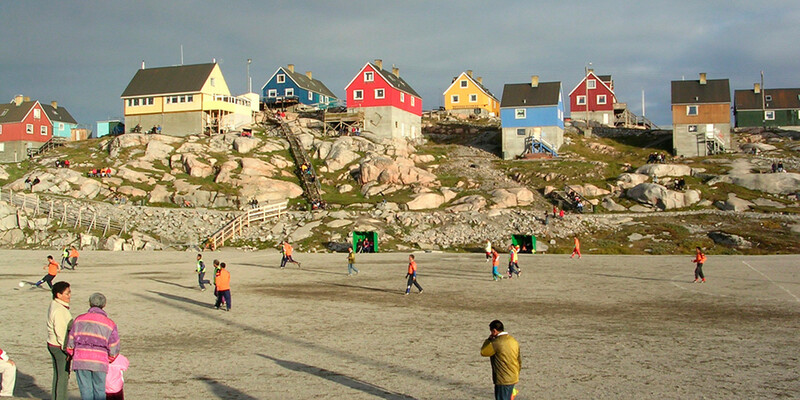 Nuuk is a city in rapid development, full of contrast and experiences you won’t find elsewhere in Greenland. The city has approx. 17,000 citizens, 5 primary and secondary schools, 1 independent school, high school, trade school, university, the home rule government, a court and the headquarters of many businesses. A visit to the picturesque old colonial harbour offers a glimpse back in time, but you’ll also find the comforts of modern life in fashion boutiques, great restaurants and cafes, a cinema, swimming pool, art museum, a micro-brewery, the Katuaq Cultural Centre and the excellent National Museum. Just a like any other ‘big city’, Nuuk also has a morning and afternoon rush hour, although the volume of traffic might be a little less than in other countries. The town is surrounded by magnificent scenery, offering excellent excursion opportunities. 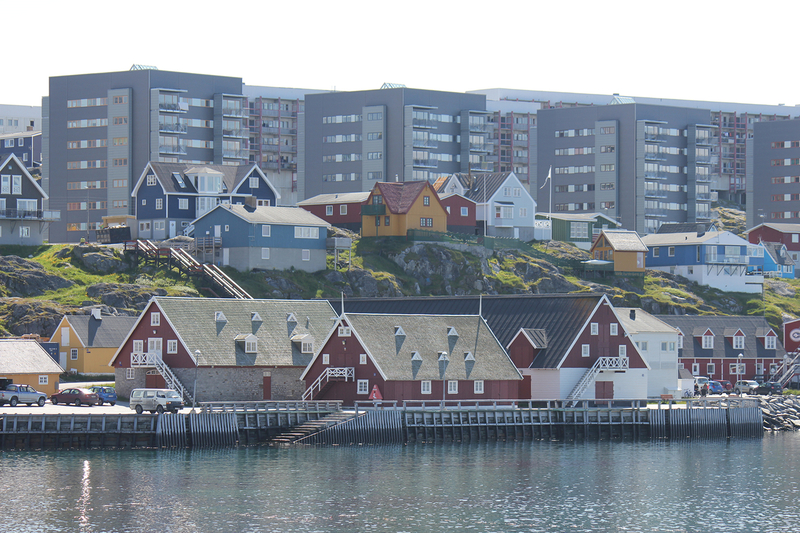 Spend your final day in Nuuk sightseeing, shopping or visiting the National Museum. This evening at 21:00 hrs (9 pm) your Arctic Umiaq Line ferry M/S Sarfaq Ittuk departs Nuuk and your sea adventure begins. Check-in opens from 20:00 hrs (8 pm). You’ll be welcomed aboard by the ship's crew. Café Sarfaq offers breakfast, lunch and dinner at fixed dining times, which are adapted to the day's port calls. Prices are reasonable. Arrival at 07:00 hrs (7 am) in Maniitsoq, previously called 'Sukkertoppen' in Danish. If you’re awake for a quick city tour, we recommend you sign up. You can eat breakfast later. Maniitsoq means 'the place is uneven' – an apt name considering the town’s many stairs and bridges. It’s a lovely little town with beautiful views of the archipelago and mountains. After Maniitsoq, continue north through Hamburger Sund to Kangaamiut. Kangaamiut's port is too small for the ship to dock, so passengers board a smaller boat from the ship to shore. 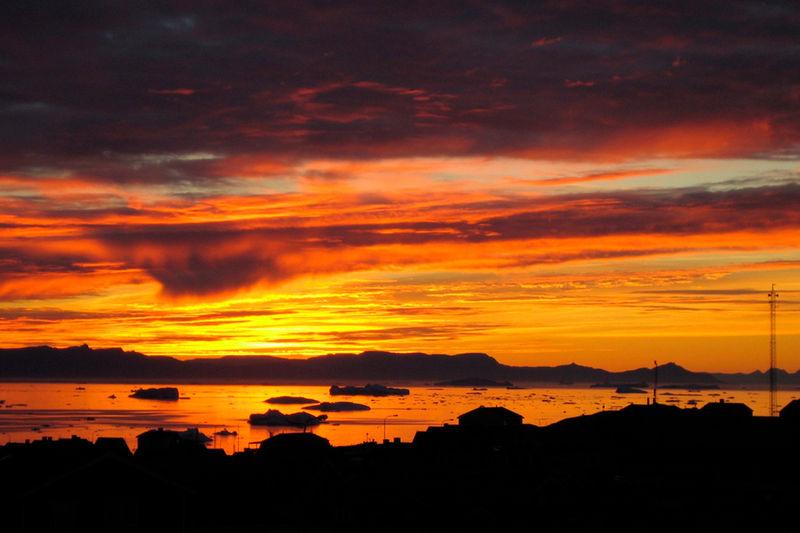 After Kangaamiut (around noon), the ship sails in the open sea towards Greenland's second largest city, Sisimiut. Arrival at 19:00 hrs (7 pm) and departure at 21:00 hrs (9 pm). 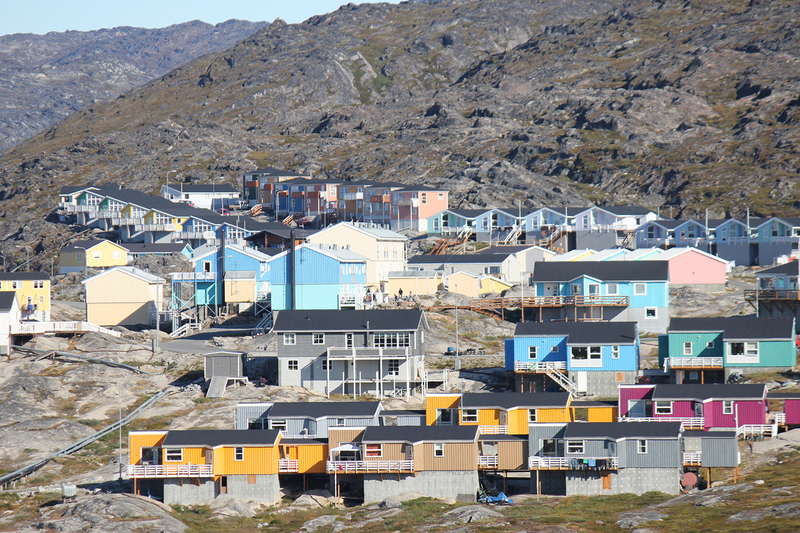 The ship’s guide offers a good city tour of Sisimiut. This morning you cruise into Disko Bay. While the sun is still low you can say good morning to Aasiaat at 08:00 hrs (8 am), where a half-hour stop is scheduled. You can make a quick visit to the black church and perhaps the assembly house, where Danish artist Per Kirkeby's farewell gift to the city hangs. In the summer of 1969, the artist Per Kirkeby created 24 paintings which were hung in the assembly hall. The assembly hall is closed, but you can easily view the paintings by looking through the windows. 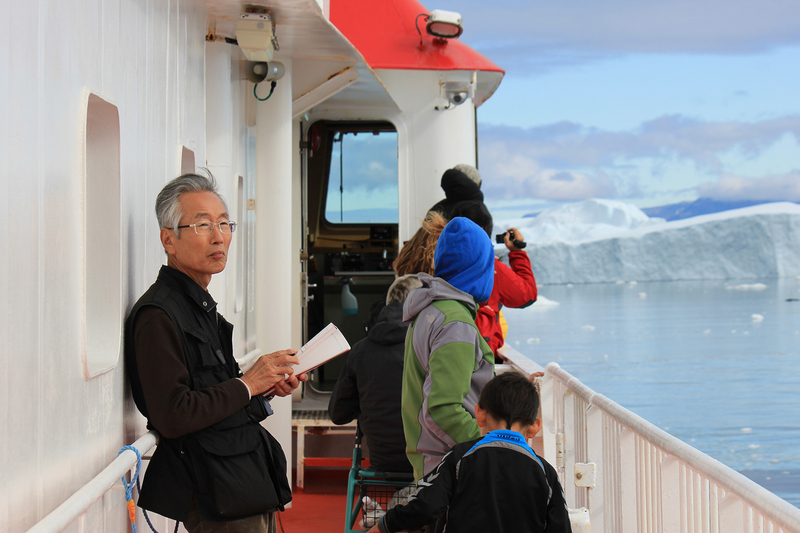 As the cruise continues to Ilulissat, we recommend you dress in warm clothes to spend the rest of the voyage on deck. 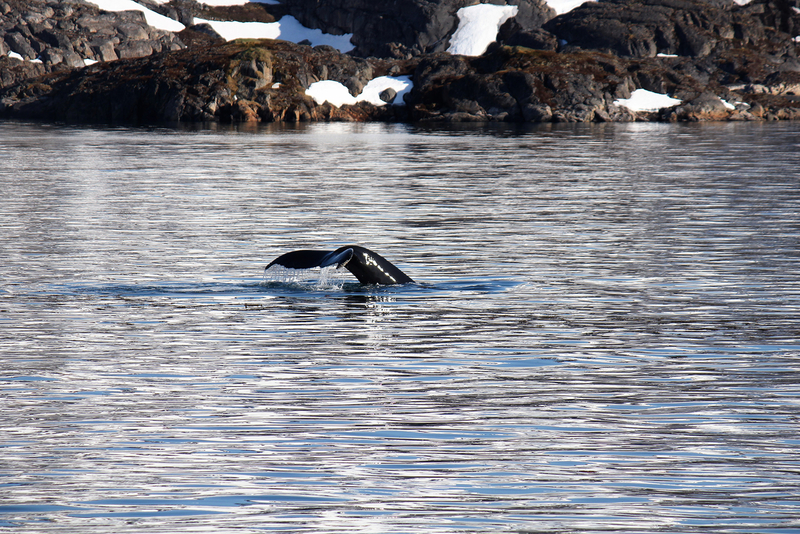 After departure from Aasiaat there are good chances to see humpback whales - the ship’s crew often make an announcement if they spot whales, so you don’t miss them. 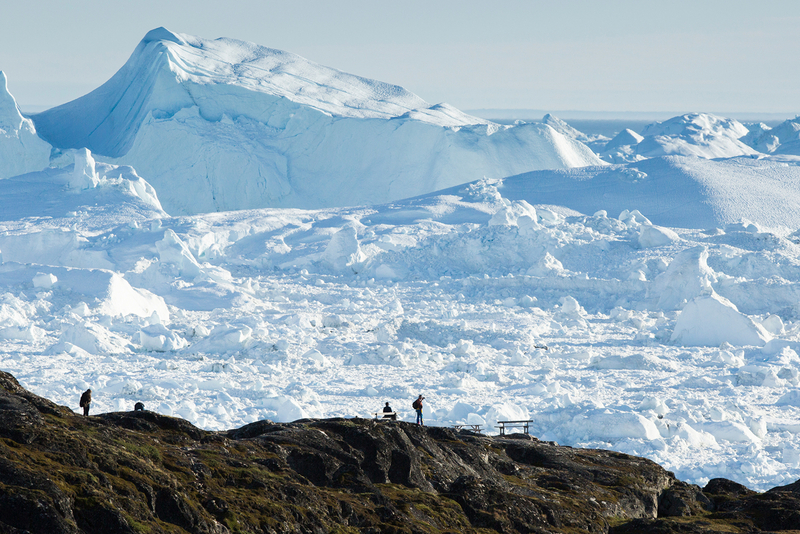 Ilulissat Icefjord was admitted to UNESCO's World Heritage List in 2004 and was one of the first areas in the Arctic to be placed on the list. 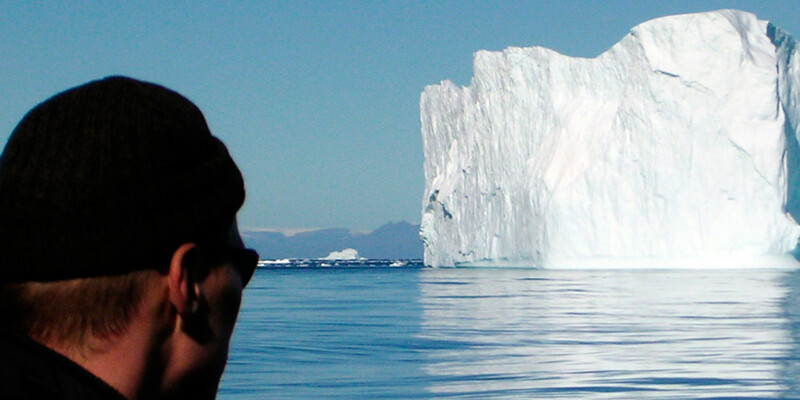 Although protected, we have special permits to sail among the icebergs and operate helicopter tours. 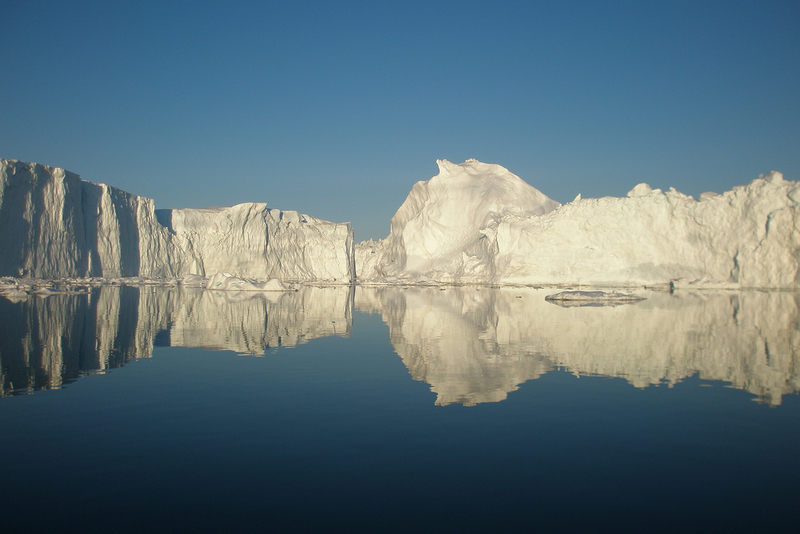 The approach to Ilulissat starts at around 12:00 hrs as the ship zig zags between the impressive icebergs of Ilulissat Icefjord. Remember to have an extra charged battery for your camera, because you’ll need it today. 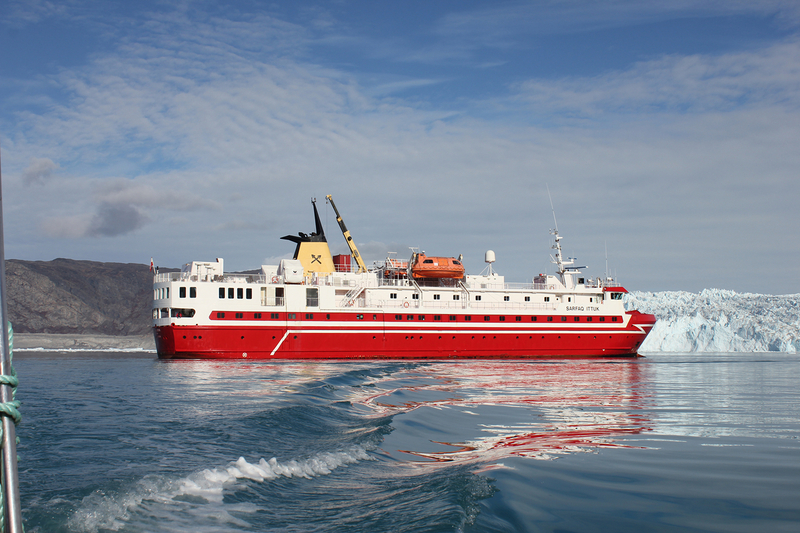 Arrival in Ilulissat at 13:00 hrs (1 pm) and transfer by hotel bus to your comfortable accommodation at Hotel Icefiord. The rest of the day is on your own. This morning you have a guided city tour to learn about the city's history, important buildings and everyday life. In the afternoon, a nice hike to Sermermiut is arranged. A visit to Sermermiut, the old Inuit settlement at the icefjord mouth, is an absolute must. Observe at close range the impressive flow of ice and the view over the fjord, filled with icebergs as far as the eye can see. Day free to relax, visit a local artisan’s studio, the museum and a sea of cosy shops. 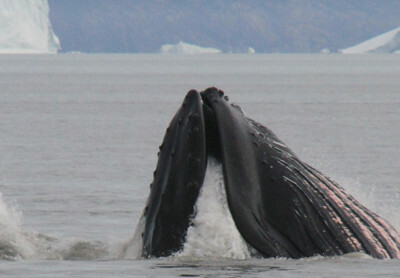 Your Midnight Sun cruise starts at 22:00 hrs (10 pm). Be sure to dress warmly and have your camera ready with charged extra batteries and extra memory cards. From 21 May to 24 July, the sun does not set. The special evening light gives the impression of an eternal sunset, without actually setting. 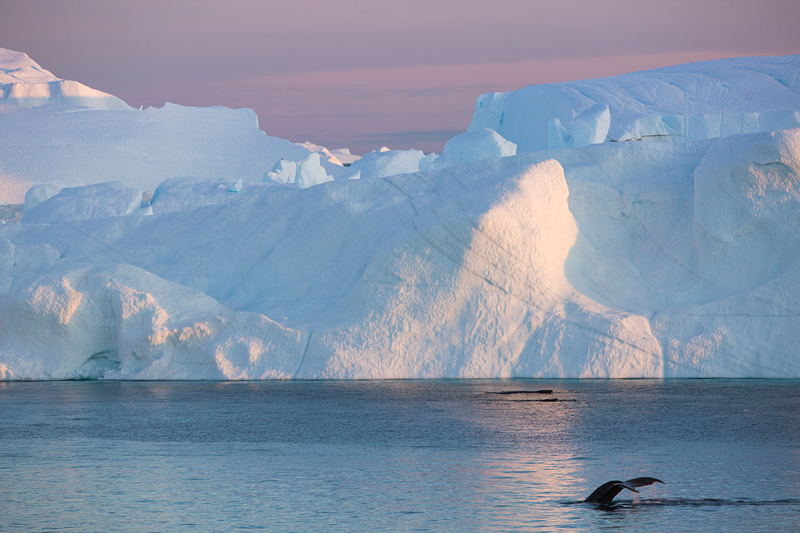 Icebergs are impressive in all weather, but this light gives your iceberg photos a particularly radiant appearance. 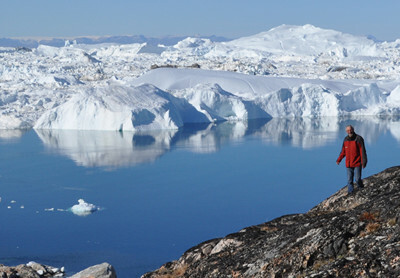 Your last day in Ilulissat is free for optional excursions. 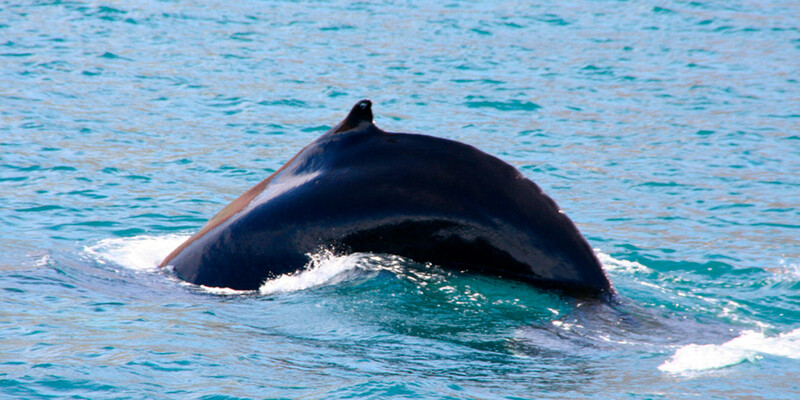 The possibilities include boat trips, scenic flights or land excursions. 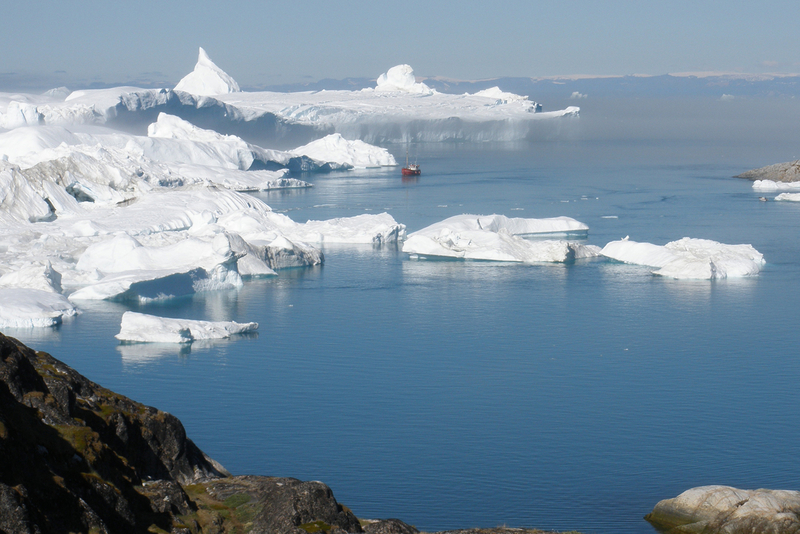 Savour your last look at Disko Bay and the UNESCO World Heritage Listed Ilulissat Icefjord, before your short flight to Kangerlussuaq. 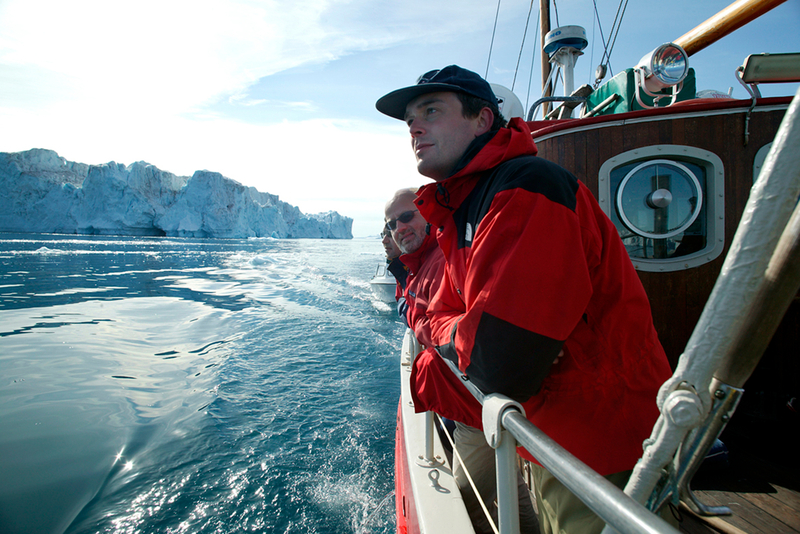 We hope the unique impressions and memories of a lifetime will inspired you to return to Greenland. 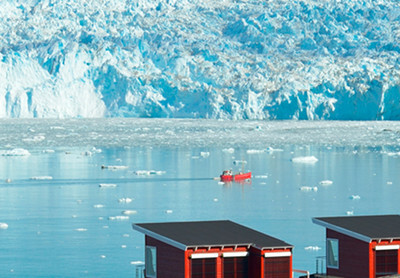 In Kangerlussuaq you’ll board Air Greenland's Airbus for your flight back Copenhagen. 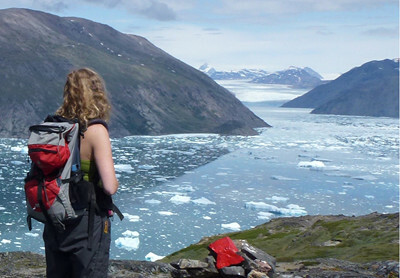 If you’d like more days to fully explore and experience our wonderful part of the world, we have excellent knowledge of Greenland and can tailor an itinerary according to your wishes. Please contact us for information. Please note: The price of the trip is a base-level estimate, calculated on a certain category of seat on the flights and room / cabin category of accommodation. The actual price for your travel date may differ, according to availability at the time of booking. Please confirm with us any possible surcharges at the time of making your booking. Sarfaq Ittuk - Arctic Umiaq Line. It’s possible to charge digital camera batteries at the hotels and at the ship (with your own charger).